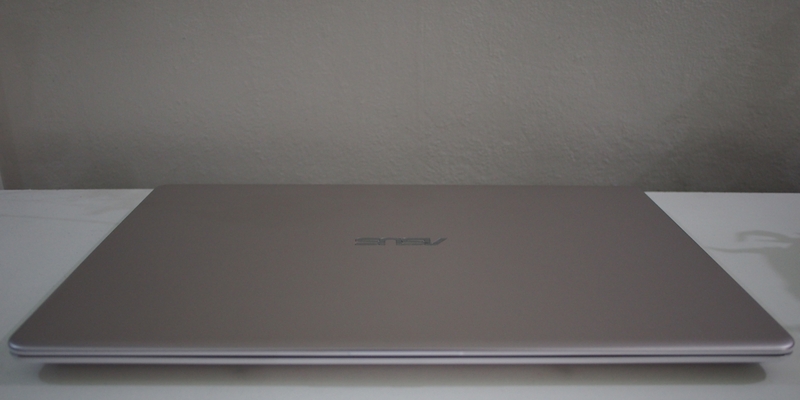 The Asus Vivobook S15 is a very peculiar machine, I would suppose it is because of the ergolift hinge mechanism that I find the change quite perceptible. That being said, there’s plenty of avenues where the S15 shines, let us go through some of them below. 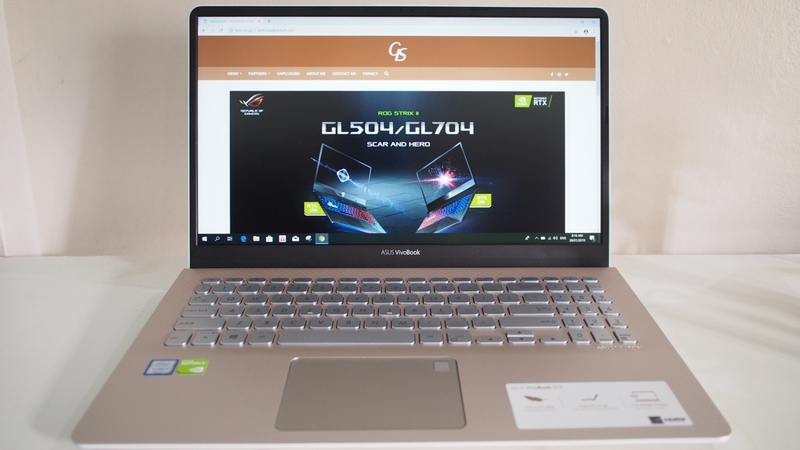 it’s paired with like a champagne gold aluminum chassis and the overall effect is very contemporary classic – Asus calls it Icicle Gold. It’s very thin too and the weight of the device is very comfortable without having to be a burden when you’re lugging it around. 15.6″ FHD on the diagonal nestled on a 14″ frame, this is what you get with the S15. Using their NanoEdge Display technology, the lid is almost all screen from left to right under operation. 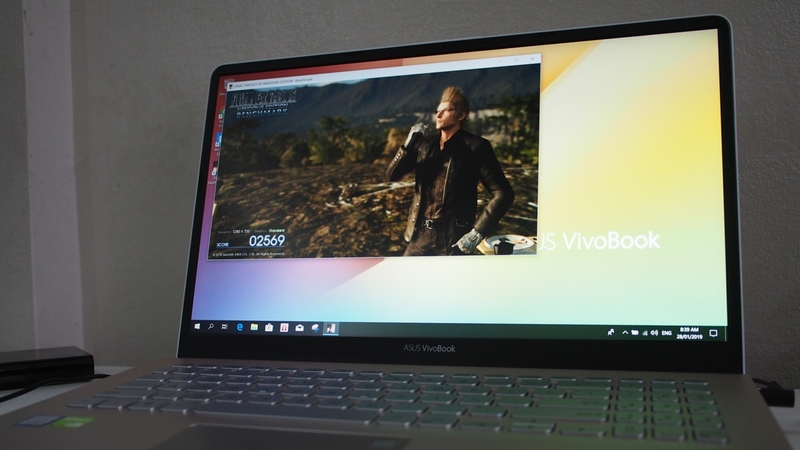 The bottom bezel carries the Vivobook name and is a bit bigger than the other three sides but it isn’t distracting at all. A camera sits up top for any sort of videoconferencing that might happen. It isn’t as prevalent here in the country but when you’re working with people from around the world, having instant access to a webcam can be the definition of a sale and that is quite an important consideration. On the S15, the keyboard is complete with a numpad over at the right side. Being so used to numpad-less designs, I kept on missing the arrow keys whenever I needed to access them as theyre pushed a little to the left instead of their usual right edge position. There is no backlighting on the keys so it’s not recommended for pitch black sessions but when you get used to the layout, I’m pretty sure the illumination from the screen should be enough to pull you through. The keyboard is tactile and with enough travel that keeps long writing sessions comfortable and without incident. 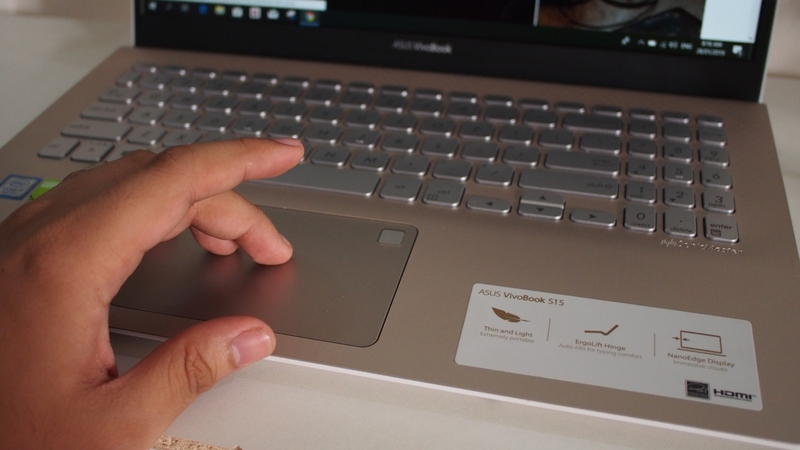 A fingerprint sensor is integrated onto the trackpad which I personally am not a fan of because of the weird depression it has over at the upper right side but it’s not a dealbreaker. 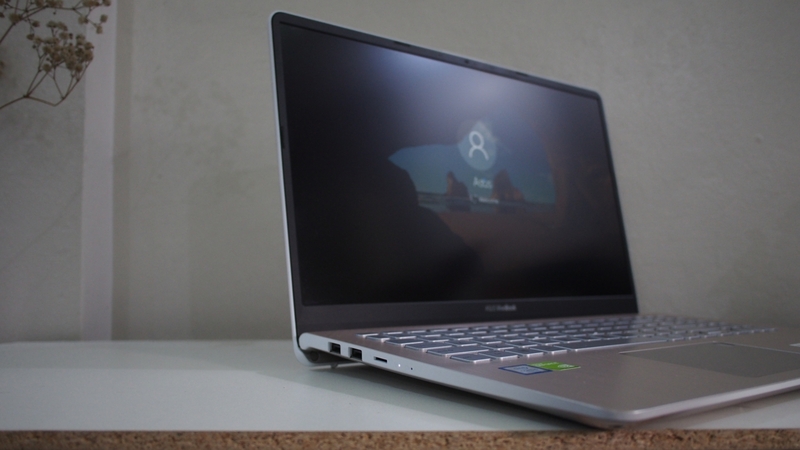 An 8th Generation Intel Core i5 powers the S15 and, along with the integrated Intel Graphics, there is a seperate Nvidia MX150 for more demanding tasks. I ran the FFXV benchmark on the device using middling settings (Standard Quality / 720p / Windowed) and it rated “Slightly Low” which means that you can actually play on this if you really wanted to. I would recommend forking over some additional cash to upgrade the RAM though as the base model comes with only 4GB. 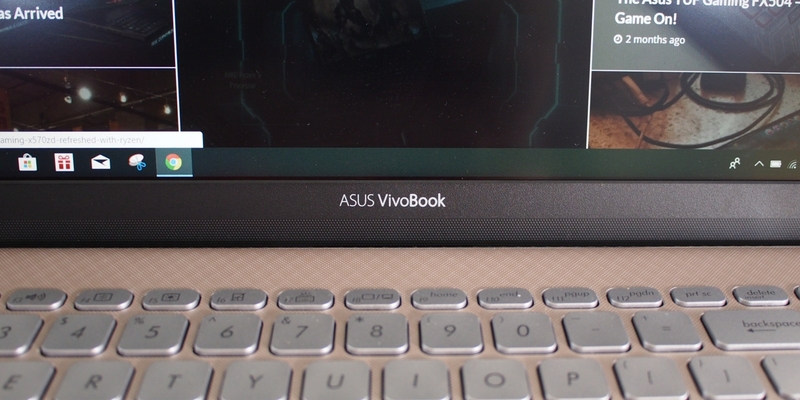 Among the consolidated notebook lineup that comes from Asus, the Vivobook series falls under their mainstream multimedia consumption devices and rightfully so. The battery performance and power management on this thing is uncanny, adapting to whatever use case you might be pacing the computer through. 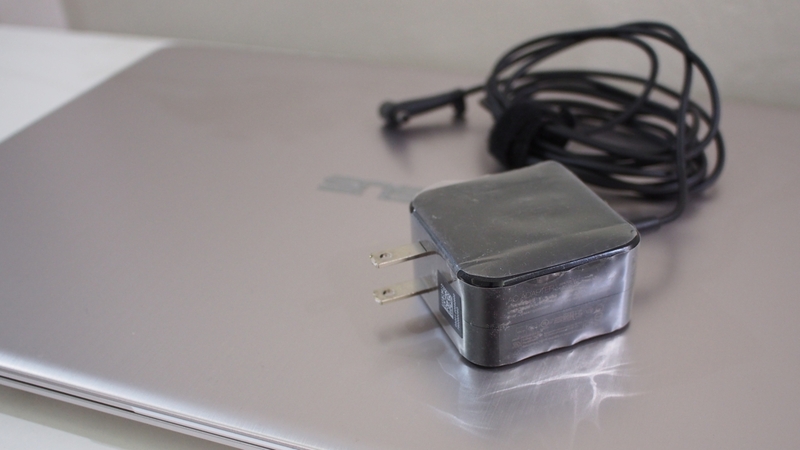 It also comes with one of the smaller power brick designs which lends more towards its portability. Case in point when we used it connected to an external monitor, the longevity shot up to over 10 hours on battery after running continuously for a couple of hours already. That’s unprecedented presentation potential right there, especially coming from some of the more power hungry variants running i7s. That’s practically limitless uptime. The lot of connectivity options within the device is quite extensive, but it isn’t all encompassing. Missing still is a full sized SD card reader with the S15 opting for a microSD slot in its wake. 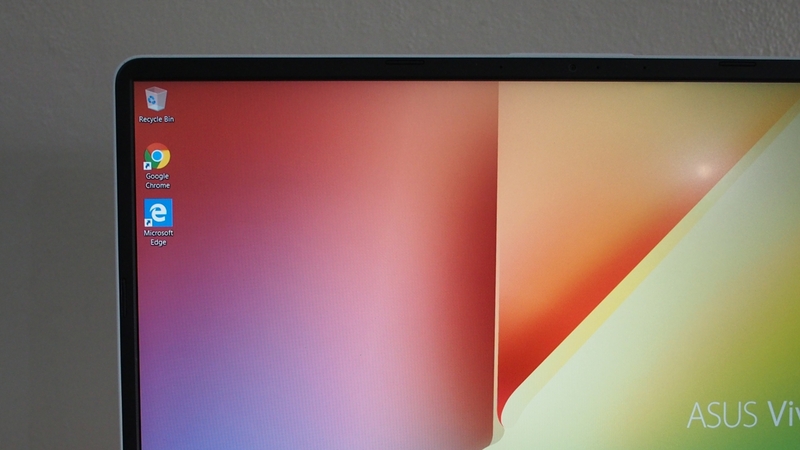 There is a full sized HDMI to connect it to an external monitor, three USB slots in total and a dedicated USB-C slot as well. 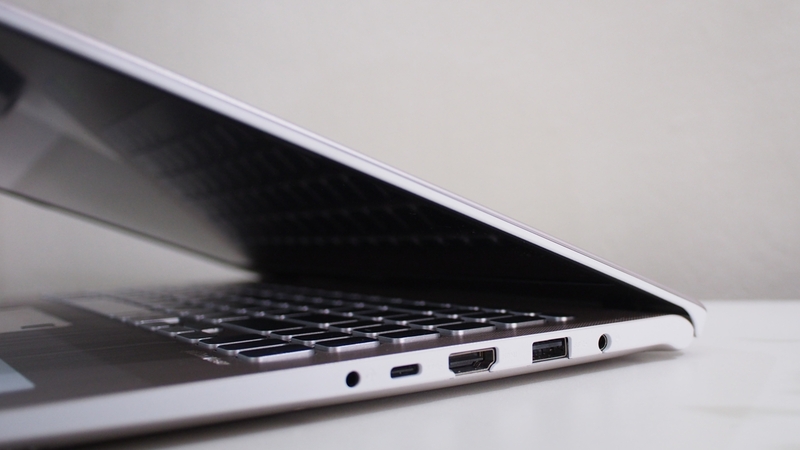 A combo jack for audio and the AC port round out the options for this Vivobook. The size of the display lends the S15 for content sharing scenarios and one would be remiss if you were to withhold it from others, it simply is too big to keep to yourself. I would suggest supporting the audio through some form of external speakers however because they are downward firing and not that powerful even when resting on a solid flat surface. Using the S15 on your lap is also another point of consideration. The ergo-lift hinge actually feels quite different when you’re using it like this because the entire display would be resting on an edge on your legs and the feeling is unfamiliar to say the least. You can still rest the base only on your lap but the display would be farther away from you and it has the potential to tilt over if you work on it this way… you have to keep your hands on the machine so that it won’t do that. 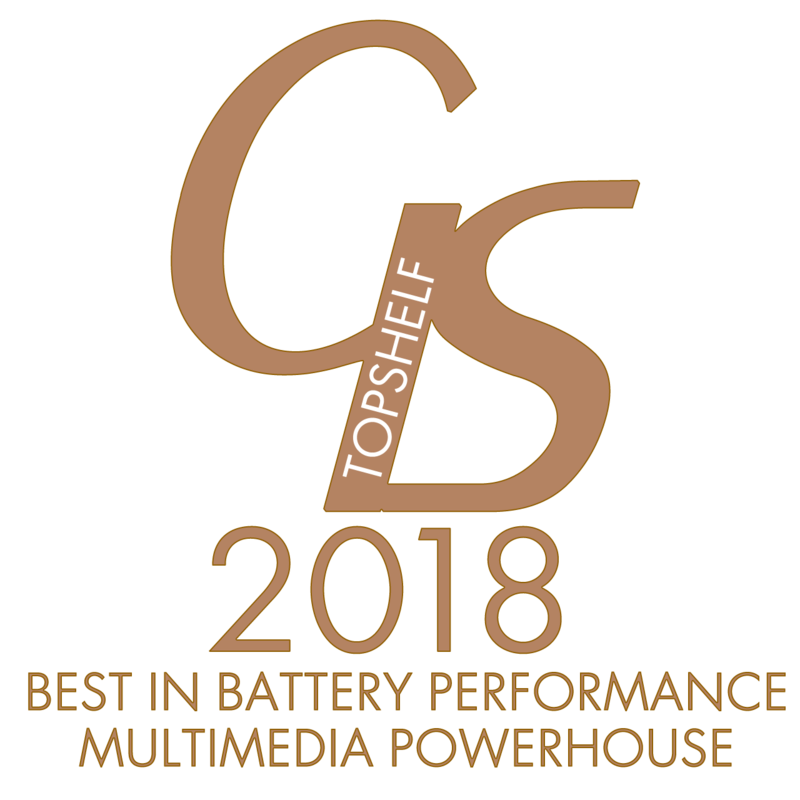 Not a single one of the notebooks within our household, or those that had come across my desk, can stand up to this one in terms of sheer staying power which leads me to bestow onto the S15 the best in battery performance badge. 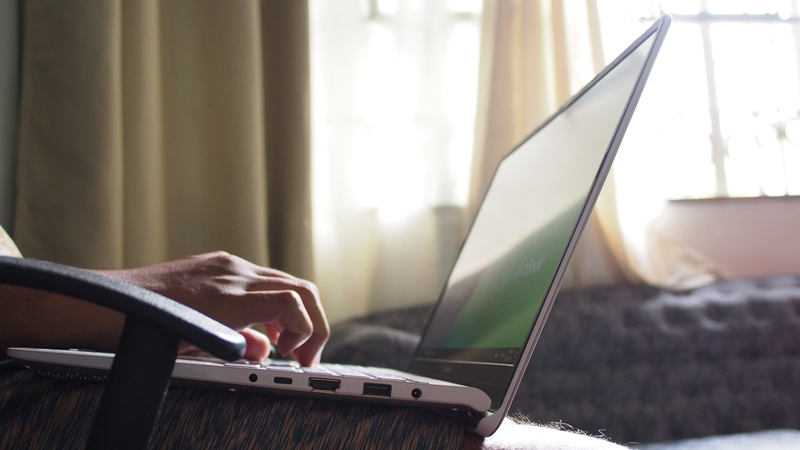 True to form and design, the Vivobook S15 can be the center of any entertainment gathering and actually provide the necessary visual experience without the need to connect to a bigger, more power consuming peripheral. It’s thin and light enough to keep within your person, and powerful enough to get through work and even a little play! The Vivobook S15 S530U retails for Php 51,995 and should be available from all authorized partner resellers for Asus products.